Dr. Dourson is a board-certified toxicologist serving as the Director of Science at the 501(c)(3) nonprofit organization Toxicology Excellence for Risk Assessment (TERA). Prior to this, he was Senior Advisor in the Office of the Administrator at the US EPA. Before this, he was a Professor in the Risk Science Center at the University of Cincinnati, College of Medicine and also worked at TERA and US EPA. He was awarded the Arnold J. Lehman award from the Society of Toxicology, the International Achievement Award by the International Society of Regulatory Toxicology and Pharmacology, and 4 bronze medals from the U.S. Environmental Protection Agency. He has been elected as a Fellow of the Academy of Toxicological Sciences and as a Fellow for the Society for Risk Analysis. He has co-published more than 150 papers on risk assessment methods or chemical-specific analyses, and co-authored well over 100 government risk assessment documents, many of them risk assessment guidance texts. He has made over 150 invited presentations to a variety of organizations, and has chaired over 150 sessions at scientific meetings and independent peer reviews. 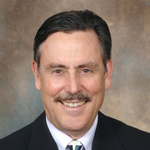 He has been elected to multiple officer positions in the American Board of Toxicology (including its President), the Society of Toxicology (including the presidency of 3 specialty sections), the Society for Risk Analysis (including its Secretary), and is currently the President of the Toxicology Education Foundation, a nonprofit organization with a vision to help our public understand the essentials of toxicology. In addition to numerous appointments on government panels, such as EPA’s Science Advisory Board, he is a current member on the editorial board of Regulatory Toxicology and Pharmacology, Human and Experimental Toxicology and Toxicology Sciences.